I've had these sets sitting in a box just waiting to be put together for several months now. I finally put the first wave sets together and they looked so much better than I expected. 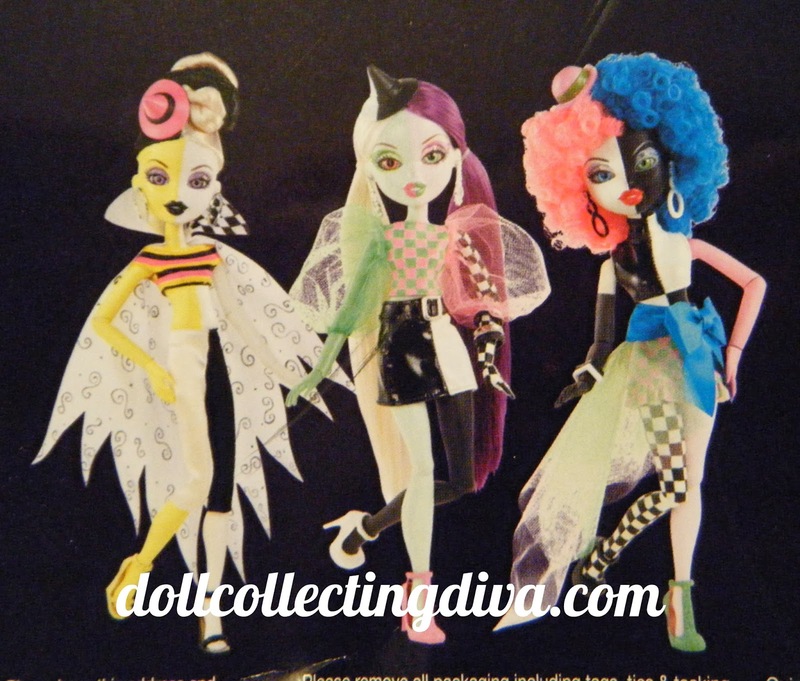 My first impression of these was that they were a Monster High Create A Monster knockoff, and they do have a lot of similarities, but there are plenty of differences too. The Switch A Witch set comes with two multi colored wigs, four different colored shoes, two pairs of earrings, bracelets and two hats. The body parts don't match, they coordinate with the two toned torsos. 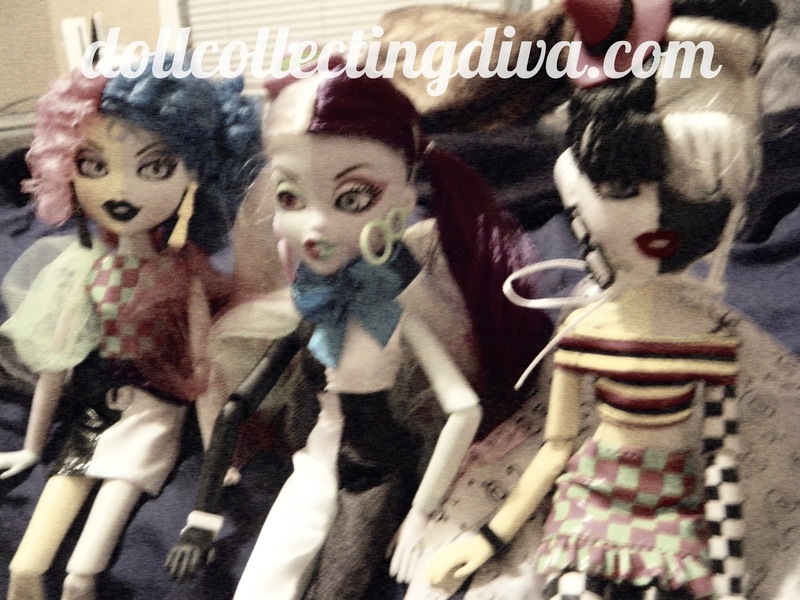 The dolls have insert eyes which sets them apart from the CAM sets. 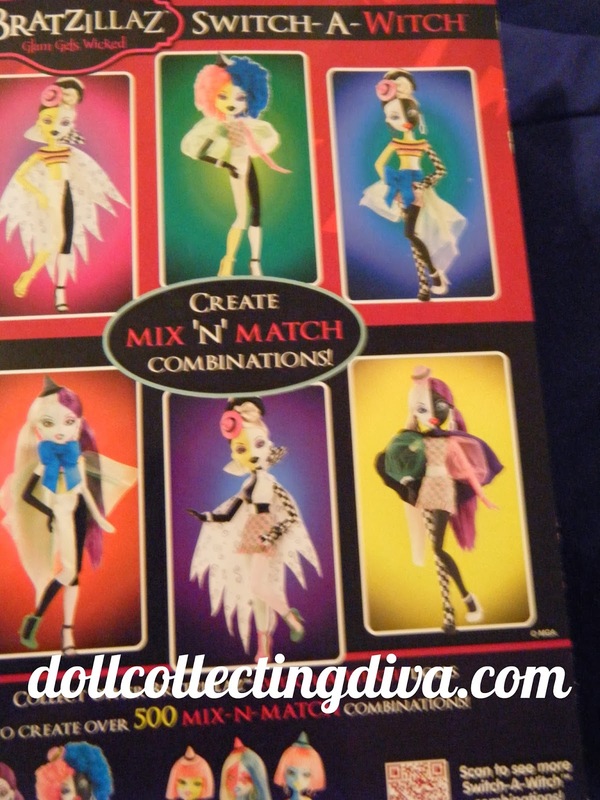 At the time the Switch A Witch sets were released the CAM sets only had one wig and one pair of shoes. 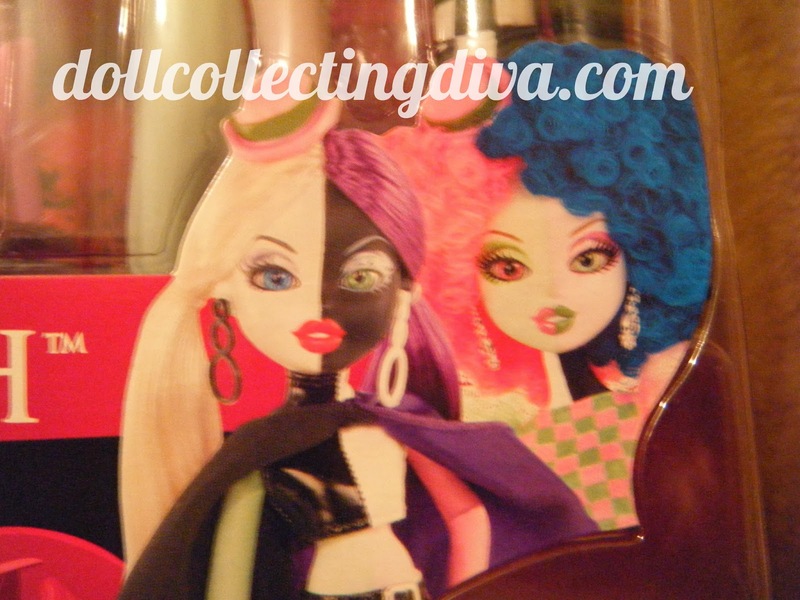 The SAW sets come with a broom shaped hair brush like the other Bratzillas, but they don't come with stands like the CAMs. The wigs don't have the plastic piece that holds them into the heads like the CAM wigs but they seem to fit very snug and not move around much. 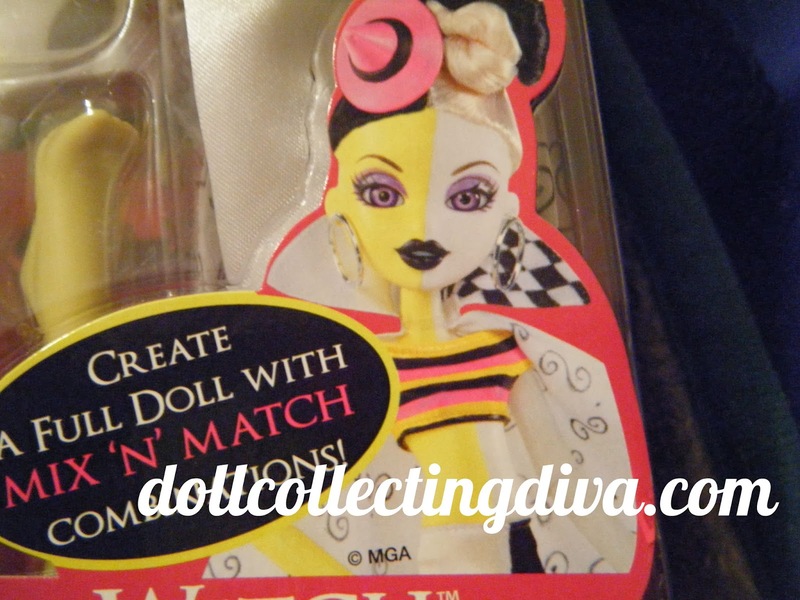 The add on pack white and yellow doll has the best eyes, they are side glancing and silver. Everything is held in place in the plastic with clear rubber bands, I used one of these to pull back the curly haired doll's wig a bit. 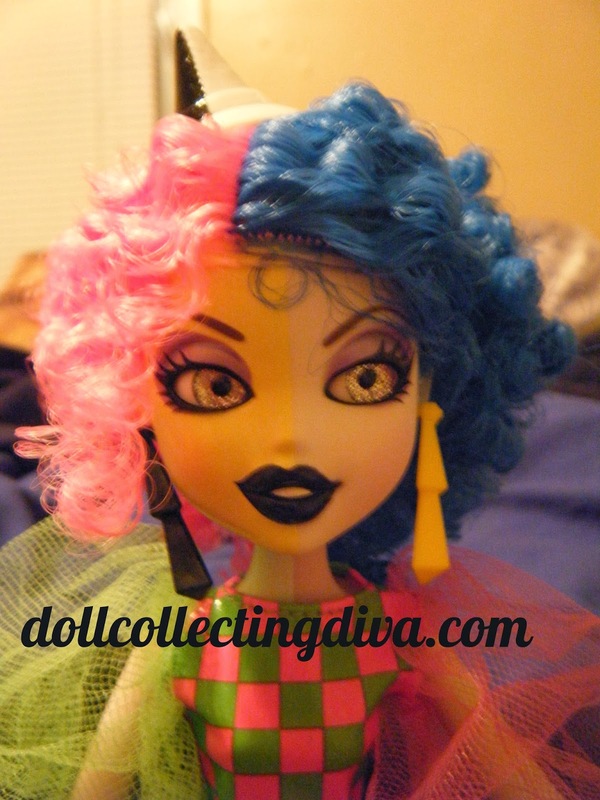 The curly haired wig was crazy looking straight out of the box, it stuck straight out on the sides. 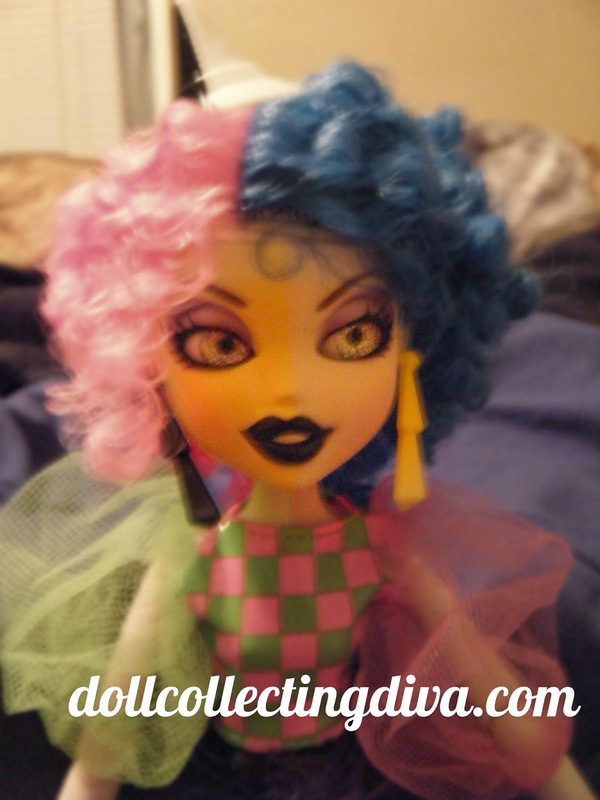 I think the dolls turned out well, I tried to make similar looks to my favorites on the back of the package. I can't wait to see the second wave in stores, I know they have been released I just haven't seen them in my area yet. I think they will make great additions to my collection. Today is the day that the Barbie Fan Club becomes available for nonmembers. For $24.95 you get a membership card, a quarterly $20 gift card, the opportunity to purchase club exclusive dolls, and a bonus gift. With the quarterly $20 gift card the membership pays for itself, at least for me because I have several Barbies on my wish list. 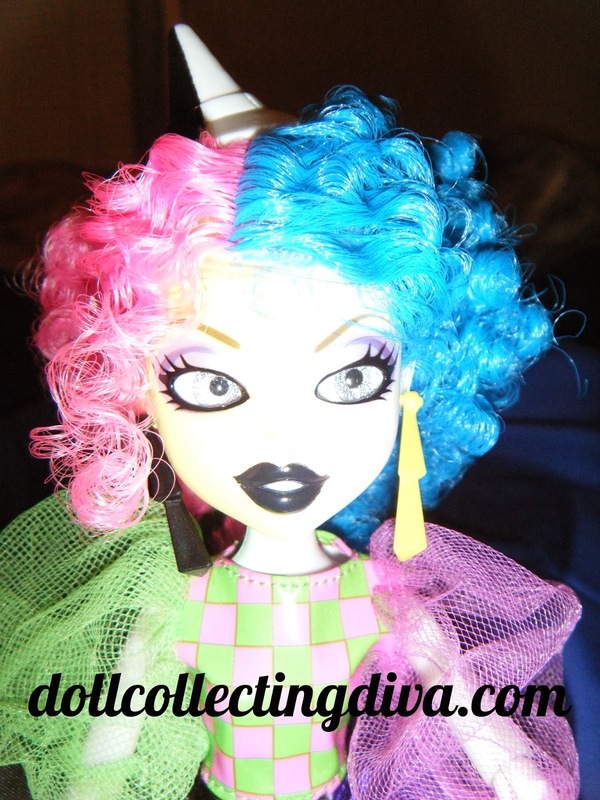 You can see a preview of some of the club exclusive dolls for 2014, or look at the ones that were available last year on BarbieCollector.com. While you're on the website check out the new Barbie The Look Red Carpet dolls, the one in the green dress is my favorite. 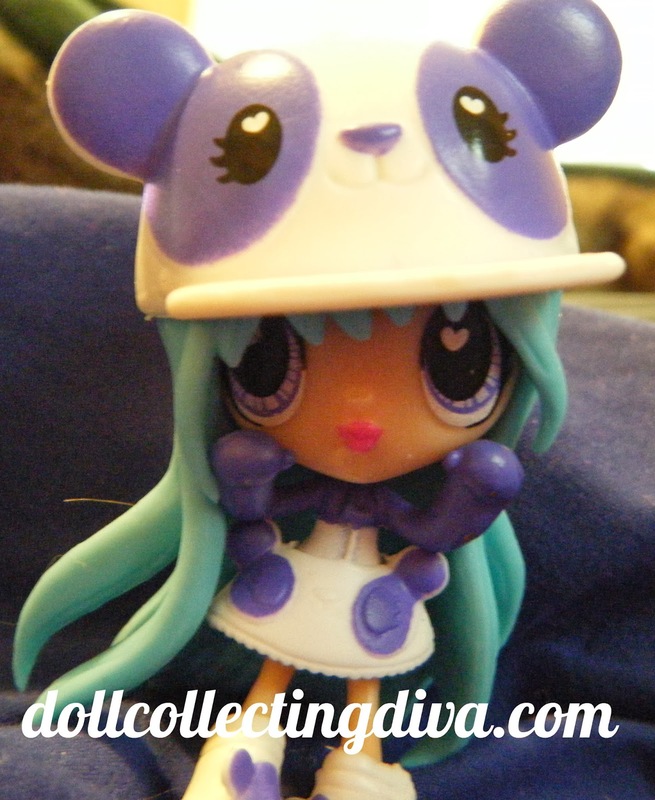 I bought this little cutie months ago and finally got around to freeing her from her plastic for a review. 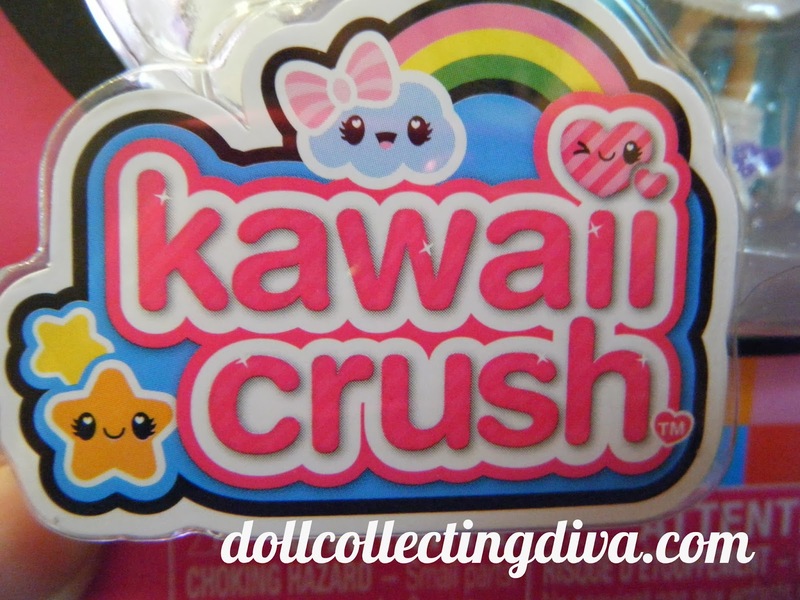 The little Kawaii crush figures are about two and a half inches tall and hinged at the waist so they can sit down but their hair is too long for that. 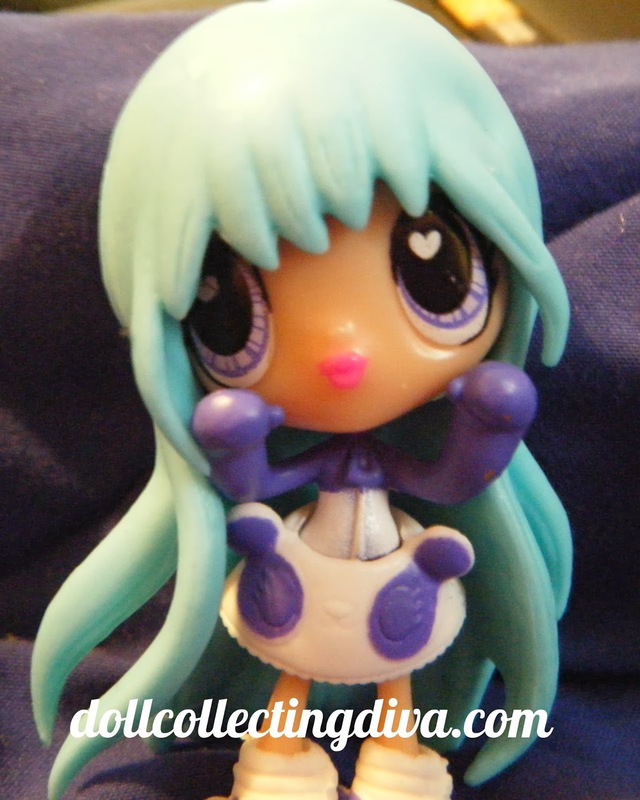 Amanda has long teal colored soft plastic molded hair. She has large eyes rimmed in lavender with dark purple accents, and little white hearts. 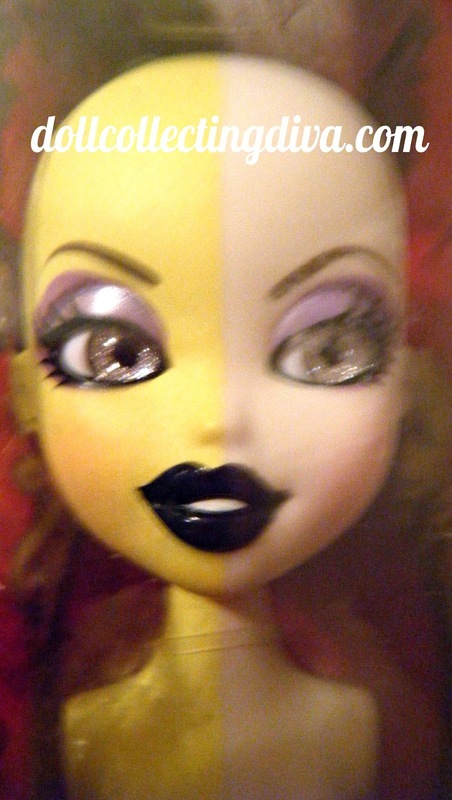 Her lips are dark pink and pursed and her nose is so tiny you cant really see it. 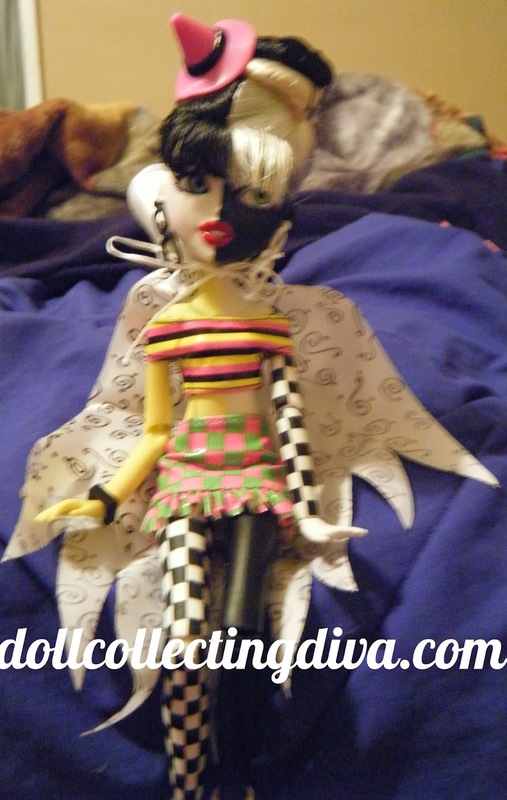 her hands and arms are painted purple as is her skirt and her mid section is painted white. 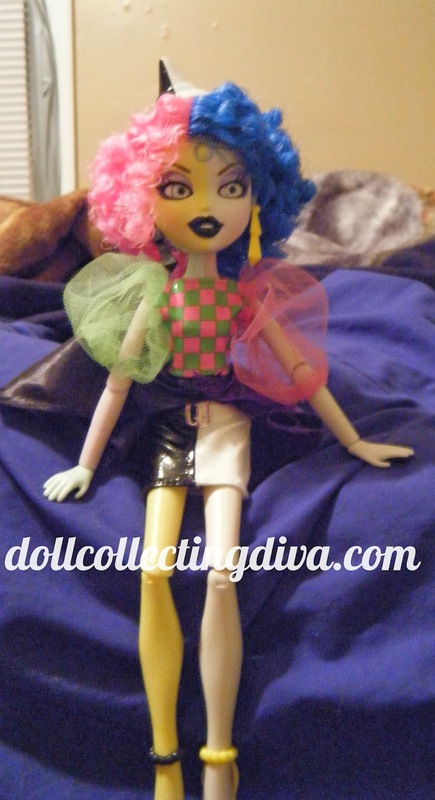 Her clothes are a soft vinyl and includes a pair of white shoes with purple painted ears and eyes, they are silted down the back so that you can get them on and off easily. She has a pair of purple pants that are open in the back so they can be slide on and off and a white skirt with purple panda eyes and ears, the skirt is slit all the way down the back. 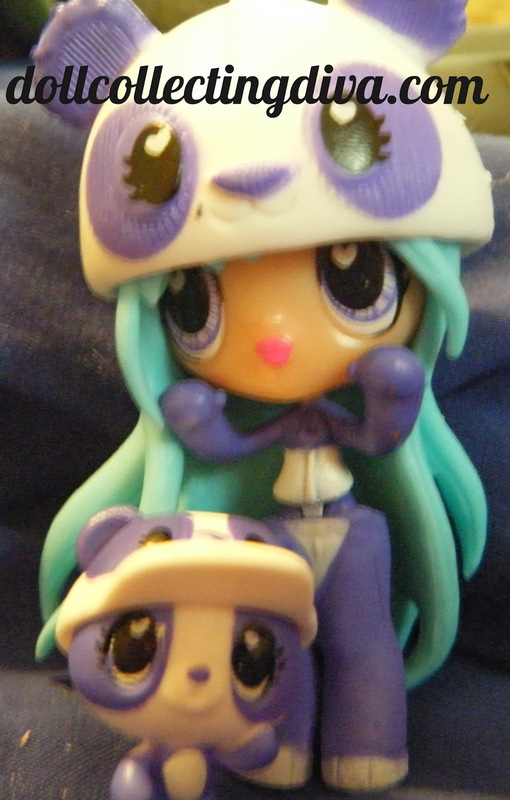 She comes with a cute purple and white panda baseball style hat and a purple and white panda hat. The panda hat has molded white stitching and the nose and area around he eyes is made to look like it has been sewn. The baseball style cap is made from a slightly hard plastic while the other panda hat is made from the same soft vinyl as the clothes. 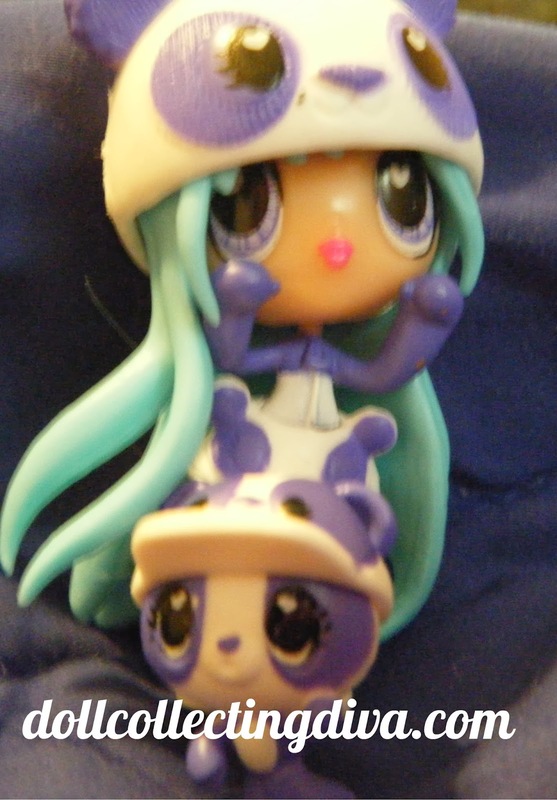 She comes with a small purple and white panda pet wearing a matching baseball style hat with slots for his ears. the little panda's hat is removable. Little panda can stand on his own but its hard to balance him at first because he is top heavy. I think these figures are really cute and might make great toys for some of the larger dolls like American Girl or Journey Girls. The adorable logo. How can you resist that cut little cloud? Congratulations to Sonia the winner of our Spectra giveaway. Thank you to everyone who entered. We have many more giveaways planned including more Monster High dolls, American Girl craft sets, and other great surprises. Keep checking back. Again thank you to everyone who entered.